Hazelnuts contain vitamins B1, B2 and E. They are also rich in calcium and potassium. 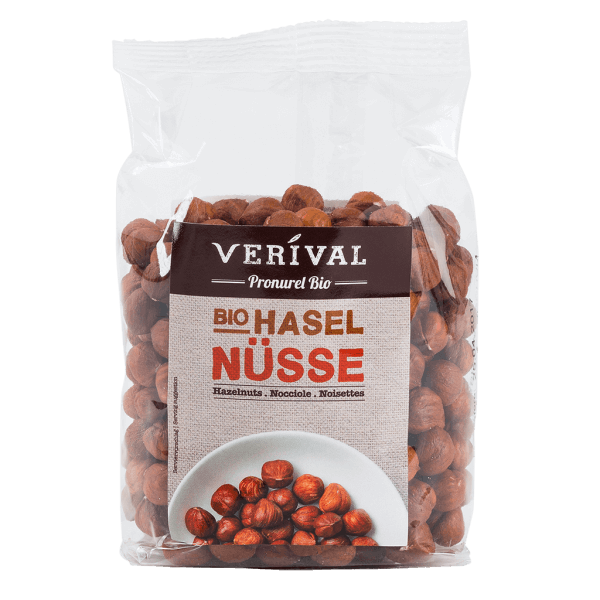 Hazel nuts can be crushed, shaved or chopped and they are mainly used for bakery products, desserts or when baking for Christmas. Yet hazel nuts also taste good in cakes, with fruit salads or as the occasional snack. > May contain traces of gluten, soy, sesame seeds, lupines and other nuts.